It was ground breaking record when Team Lakay recorded a 5-0 win during the Kings of Destiny last 21st of April at the Mall of Asia Arena. The fighters from Team Lakay, including the Eduard Folayang, who defended his ONE Lightweight World Champion belt against EV Ting and succeeds, let their training kick in, fought hard and won their respective rounds. The largest sports media property in Asian history, ONE Championship (ONE), recently held an exclusive media day for Baguio City’s famed Team Lakay that took place at Vikings Venue at the SM Mall of Asia Bayside, Tuesday, 9 May. 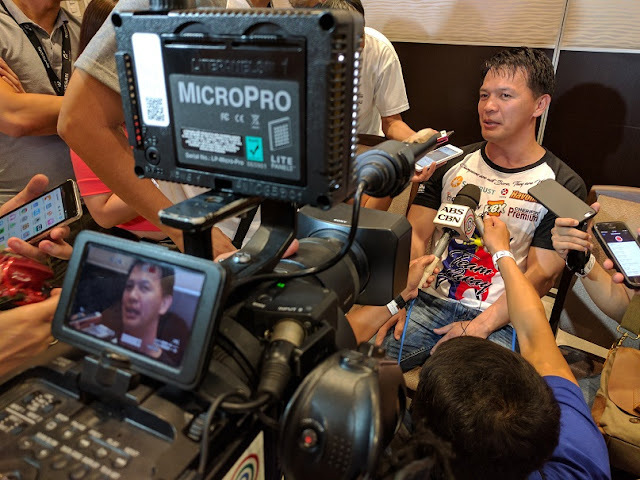 The ONE/ Team Lakay Media Day was highlighted by the attendance of ONE Lightweight World Champion Eduard “Landslide” Folayang, former ONE Featherweight World Champion Honorio “The Rock” Banario, Geje “Gravity” Eustaquio, Kevin “The Silencer” Belingon, Edward “The Ferocious” Kelly, Joshua Pacio, Danny “The King” Kingad, Gina “Conviction” Iniong and April Osenio. The team was accompanied by none other than legendary Philippine MMA coach and head of Team Lakay, coach Mark Sangiao. Eustaquio is the only athlete from Team Lakay with an upcoming fight set in Singapore this May 26th, a three-round flyweight contest entitled ONE: DYNASTY OF HEROES. He is scheduled to face Thailand’s Anatpong Bunrad in a highly-anticipated rematch of their 2015 encounter.